Asus has kind of not figured too much lately when it comes to the smartphone and tablet market. After enthralling us with the Transformer series and the Padfone, Asus has kind of maintained a radio silence for some time. Well, that is going to change. 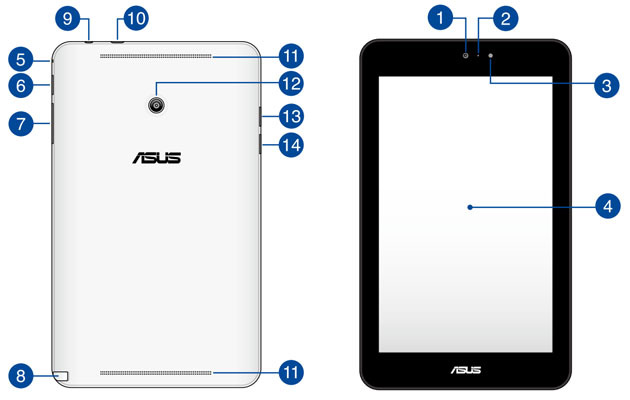 Asus is working on a Windows 8 Tab as confirmed by a leaked user manual. Other features of the tablet, called the Asus Vivotab Note 8 for now, include 2 GB RAM, a quad-core processor and 64 GB of storage. The Asus Vivotab Note 8 comes with an 8-inch screen and Windows 8 OS, it has been marked with the model number M80TA. The pricing is tipped to be around $299. The processor it comes with, surprisingly isn’t a Snapdragon 800 but an Intel Atom Z3740 quad-core one which entails once again that it will be a budget tab. The screen resolution is expected be a modest 1280 x 800p. We think the Asus Vivotab 8 might be revealed at the CES 2014.